I am a lover of all things lemon. How about you? 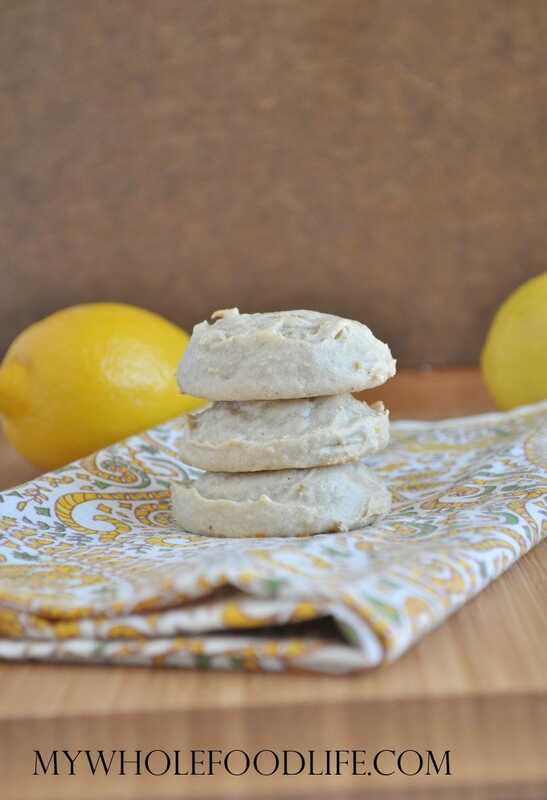 I have had it on my mind to make these Flourless Lemon Cookies for a while now. I am so glad I did. They are super easy and didn’t even last a day at our house! All you need is 4 simple ingredients and less than 20 minutes! If you like flourless recipes, you may also like my Super Moist Flourless Brownies or my Flourless Salted Caramel Chocolate Chip Cookies. Not only are these healthy cookies flourless, but they also contain no refined sugar. These cookies are vegan, gluten free and even paleo approved. I hope you enjoy them as much as I do! If you need a nut free version, you can try using sunflower butter. We also filmed a video on how to make these lemon cookies. You can subscribe to my You Tube Channel if you prefer to see videos. Only 4 simple ingredients to make these flourless cookies with zero refined sugar! In a food processor , combine all the ingredients until smooth. If the batter seems too runny, just stick it in the fridge for a minute. Use a cookie scoop to form cookies and drop onto a lined baking sheet . Let these cool completely before removing them from the baking sheet. They should last a few weeks in the fridge. You can also freeze them for up to 6 months. Enjoy! Yum...this is perfect. I love all things lemon and just harvested my Meyer lemon crop. The one thing that scares me is that they disappeared so fast at your house so I know they will here, too, and I am the biggest offender. Thanks for sharing. Can another nut butter be used other than cashew butter? These are now my favorite cookies. I added a couple drops of lemon oil and unsweetened coconut on top.